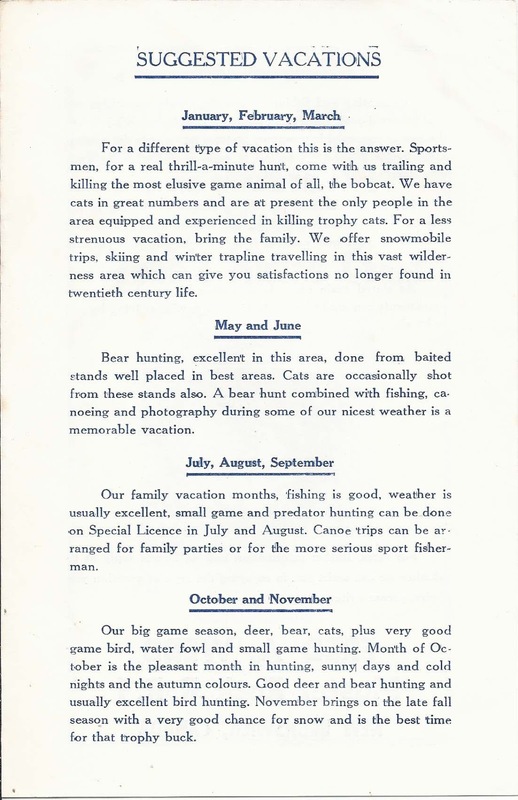 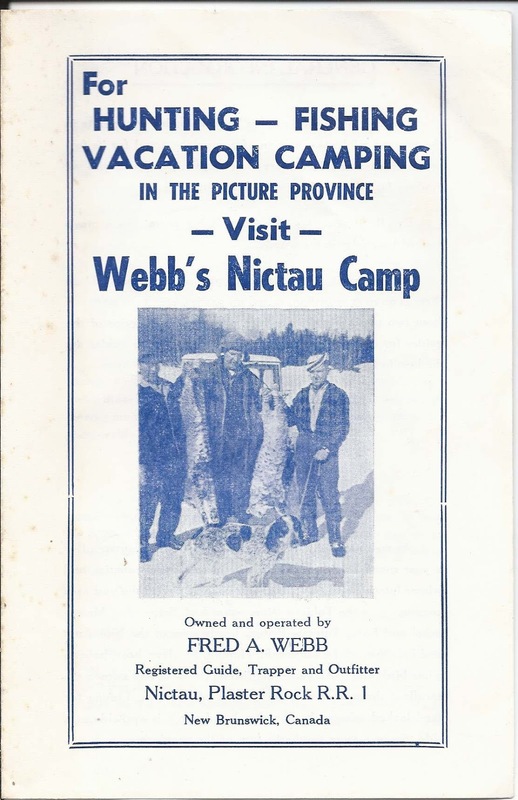 Vintage four pane brochure of Webb's Nictau Camp on Nictau Lake, in New Brunswick, Canada, near the province's highest mountain, Mount Carleton. 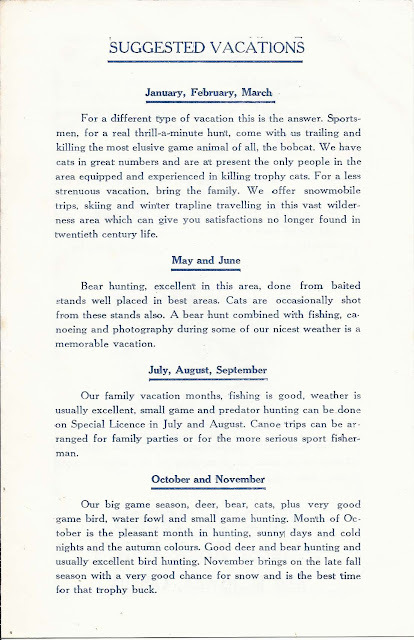 I'm not sure of the year this brochure was produced, but it was possibly before postal zones came into wide use in the 1970s. 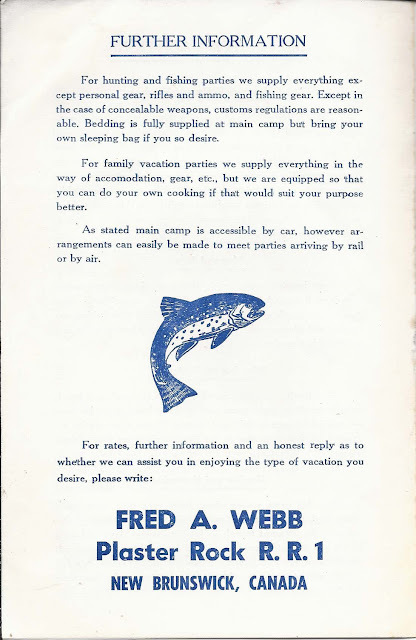 The camp was then operated by Fred A. Webb, a Registered Guide, Trapper and Outfitter at Nictau, with his mailing address at Plaster Rock. 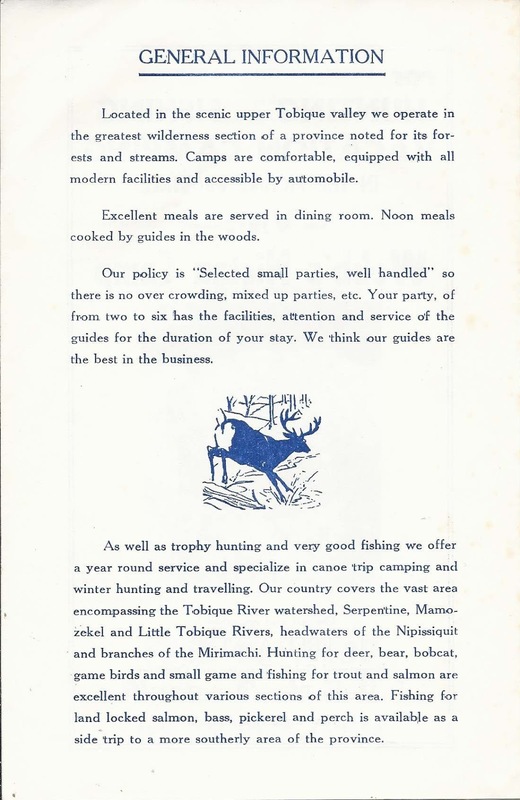 "Located in the scenic upper Tobique valley we operate in the greatest wilderness section of a province noted for its forests and streams. Camps are comfortable, equipped with all modern facilities and accessible by automobile. 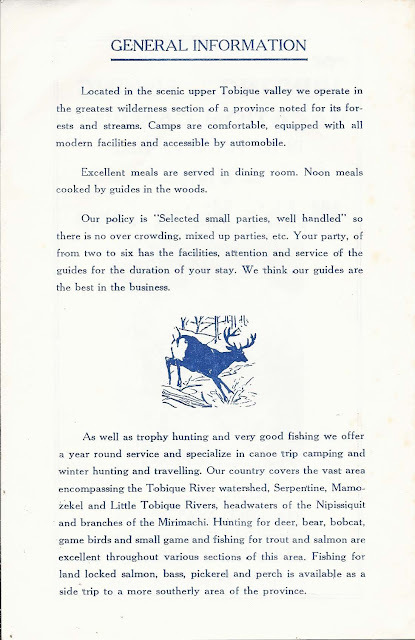 ..."Our country covers the vast area encompassing the Tobique River watershed, Serpentine, Mamozekel and Little Tobique Rivers, headwaters of the Nipissiquit and branches of the Mirimachi."